Spin a web, eat bugs, earn points, and have fun! 8 Legs to Love is separated into six levels of just over two minutes each. 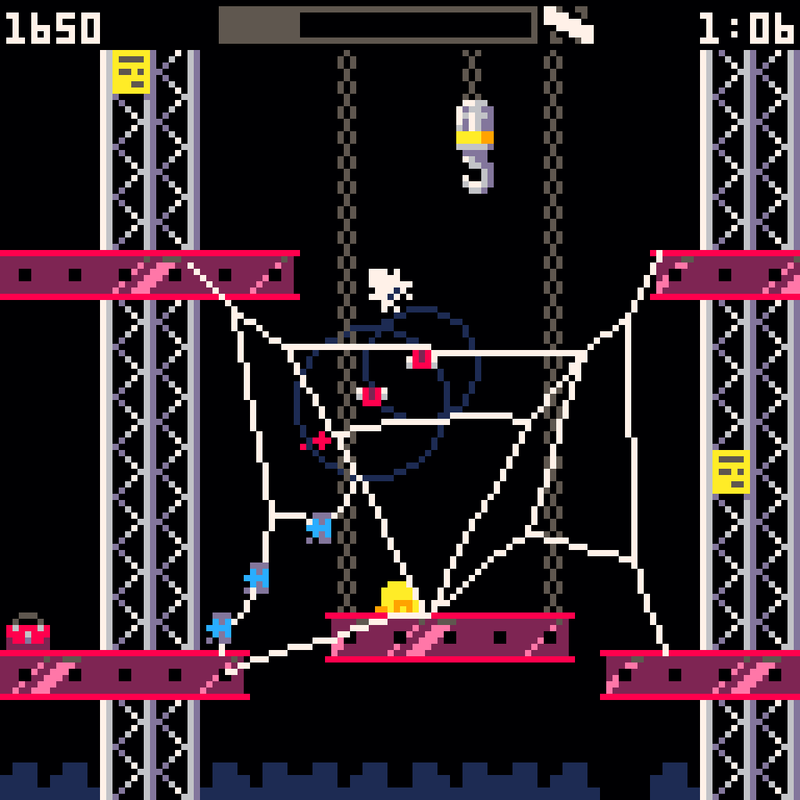 The goal of each level is to spin an elaborate web, catch bugs, and eat 'em for points! Or you could just have a fun time, there's no pressure. Fantastic! The space level was a bit tricky though. Love the game, physics, and graphics! Interesting premise? Check. Gameplay that varies from level to level? Check. 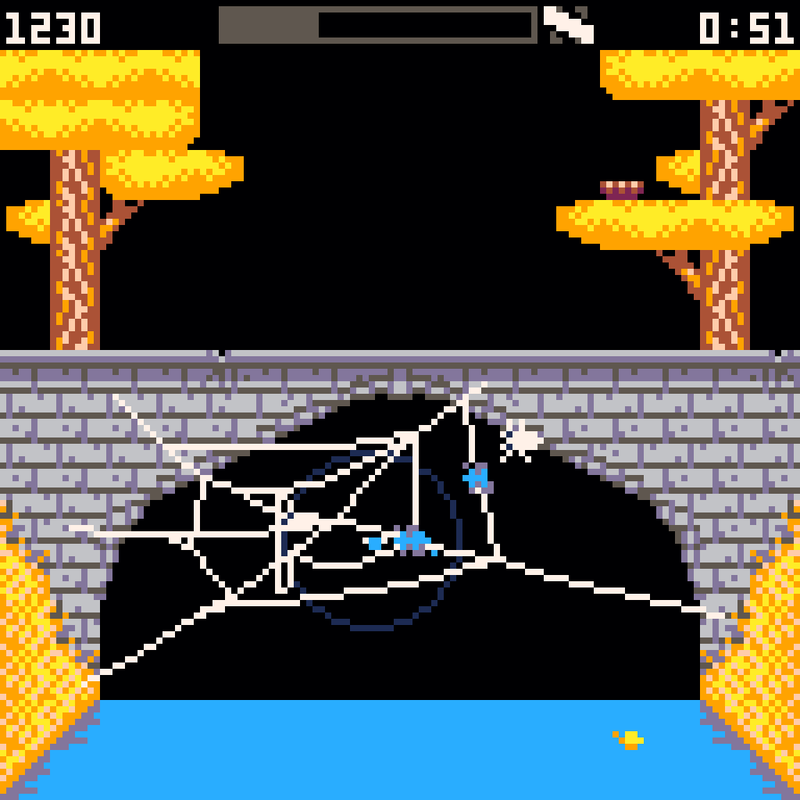 Lovable spider protaganist? Check. General awesomeness? Check. Long story short, this game is awesome, and I'd like more please, thank you. Will you add a zen mode because that would be awesome? Excellent job! I played this and my 10 yo son did too. We both really enjoyed it. I'd love to play this in an arcade machine with an arcade stick! Aww that's so heart-warming! Augh I'd love to see see it in an arcade machine, and I'd love to add a creative mode so folx can just zen out and build a web stress-free. Hmm.. yeah, the zen mode would be cool. I like the gamefeel of jumping, falling, and dragging a web. It's good stuff, would work well with a chill out mode. I couldn't find a donate button for the game--did I miss it? 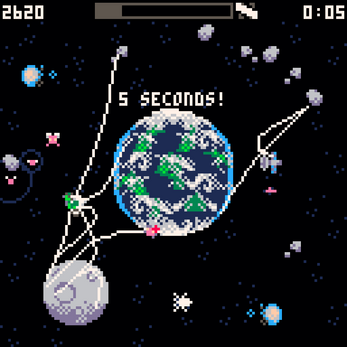 Very nicely made Pico-8 game! Reminds me of the early Activision games on the Commodore. There there, you were the very best spider I've ever seen! Very interesting concept. The only downer for me personally was that flies just appeared out of thin air. Wish they flew from the borders of the screen. But on the other hand it would loose a bit of its simplicity and accessibility this way I suppose. 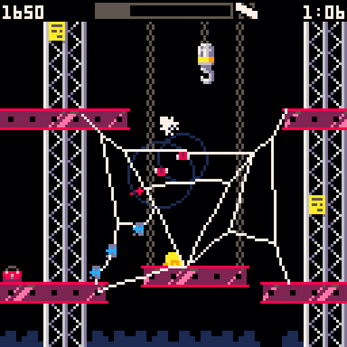 I wonder if the web strings are made using some physics library ropes or chains or do you have a homebrew rope physics system of your own? 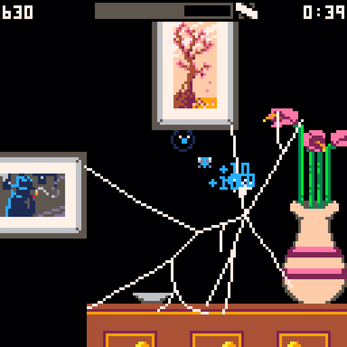 I can see that, bugs spawning via the z-axis sorta breaks the 2D plane everything else is aligned to, and can look weird. Wow the movement is so clean and fun! How the hell did you manage this rope physics in PICO-8? O_O Amazing game. Hehe it's one of those "wisdom of the crowds" dealios where the code for each node of the web is relatively simple but in aggregate it looks like web!